Hey Rising partners ! I'm TacticalBeast and I want maked this guide for you will all know how to use bagi as well and to use Bagi tactics for your gameplay can be better than what it is. I've played in Bagi Warrior for long time and I have an experience of playing Bagi Warrior, and I know how his skills does working ! follow after this guide and you will see how you are getting better in this class ! 2 secrets of how to becoming to a strong Bagi Warrior. 3 starting builds you can try ! Good combos for Bagi Warriors. Which skills will help you in pvp. Why do I'm playing a Bagi Warrior ? It all started when I was uncdecided which class to select in Dekaron Rising. I found the Bagi Warrior character which one was my playstyle. People were saying that the Bagi Warrior is not a good class and he is not a good class to make. I deicded to make Bagi Warrior to show them that they were wrong !. I've made Bagi Warrior and started to win them all, slowly I showed them that they were wrong, They were suprised to see that Bagi Warrior is a great class. I started to practice and I found my character, Maybe this is can be your playstyle too. You have to try Bagi Warrior, hes cool and fun class ! Starting builds you can use for your Bagi Warrior. This Build is recommended for new players and tankers, because it will allow you to have a lot of defence and hp and, consequently, you will die less times in PVP and in PVE. It's the most common build for a bagi, but its good for a lot other classes ! This build is less common but don't underestimate it. A bagi has some fast attacks and it may be goodl with this build. To play this build you leave your hp low (Not too low for you will not die too fast) and prefer the damage, by putting points in str. Why you should try play in a Bagi Warrior ? Bagi Warriors (common referred to as Bagi's) Are the natural tanks of Dekaron. With the highest natural armor and health it can take a lot to put down a strong Bagi Warrior. Their only weapon, the Gauntlet, gives them access to several abilities that knock their opponents back. At home in the heart of the battlefield the Bagi Warrior can make an invaluable ally, or a dangerous enemy. As you can see in the photo bagi is standing on Physical damage and a lot Defence. 3 Combos for a Bagi. Here I will give you some combos for Bagi Warrior. 1. First skill is Gidion to block your enemy then 2. Shock Wave to stun your enemy 3. Earthquake will stun your enemy for some seconds too and in this time you can use 4. Riraskin for some attacks ! 1. Earthquake the first skill in the combo to stun your enemy 2. Gidion is the second skill in the combo to block your enemy 3. Shock Wave is the third skill in the combo to make a stun again is and Mad Blood the last skill in the combo to have some hits, you also can use other hit skills and not riraskin. Example for a skill Rich Iron can hit like 6 times and you can replace it in riraskin. How to play vs every class. Don't let them run ! just use your stuns skills, use resistence buff is a must to avoid ice arrow debuff. If you manage to reach them, they will drop quite fast. Azure knights are the most troublesome class to defeat, since they have a very high defence and some good damaging skills. They can also switch weapons and use deadly combos. My advice is to let them use their damaging skills and them knock back them. Don't interrupt their high damaging skills, or they will be able to use them again. Also, if you are playing against a shield knight, try to use your damaging skills when the knight isnt using his defensive buff. Knock back them to stop their damaging skills like dark avatar. Don't attack their pets. Most of the summoners will use their twin blades, but some may use the staff. For the blades, just knock back them. For the staff, play like against an hunter. Example for a combo : Dead spark, Spirith shout, Carnage, Triple ravage, Blast, Mad bloods, Tempest wing. Knock back them to interrupt their damaging skills. Bagi is the worst nightmare for a mage. Jump on them and start knockbacking! If you are skilled you may try to avoid their lightning buff (Imid flash) since it only lasts around 5 seconds. Example for a combo : Triple ravage, Blast, Tempest wing, Carnage, Spirit shout, Mad bloods. It is hard fight !.Don't go near your enemy immediatly since most of bagis use bull's cry as first skill. Example for a combo : Triple ravage, Mad bloods, Carnage, Dead spark, Spirit shout, Bull's cry, Tempest wing. Shock wave, Violent gale, Triple ravage, Blast, Mad bloods, Chain burst. If you have a big damage, you may also decide to just attack your target by normal punches; it's recommended when pking lowbies because you can knock back them with your damage. My personal tip for 1v1. My personal tips in 1v1 for you, as you know bagi have a lot stuns and really amazing combos, in 1v1 you need to remember that your job is to make your combos first of all !, to do the right buffs in the right team, also you will have to stun your enemy a lot. Get a strategy for your pvp, a lot people doing many wrongs when they are inside pvp for example, they are clicking on just skills because they think its will going to kill their enemy. This is one of the big wrongs, in pvp you have to be smart and to be relax. If you will just click on skills that you dont need your enemy can combo you and to kill you, careful while you are in a pvp just stop the thing that you are doing and think for a moment what to do. 2 ways how to become to a strong Bagi. First secret is about your items ! if you want to get stronger and better you should get the right items for it ! lvl 195 weapon +10 gauntlet if you have weapons its will be better. 3x necklaces +9 and lauchy/squama. Teragance belt and arlmets with gems and options ! Thats the four important things of the first secret to be strong ! The second straight secret how you can become to a strong Bagi Warrior is that you have to learn the class as well ! people think they can become to a good and strong players without known the class information ! this is the big wrong. You need to learn about your class, to understand how everything is works on him then you will become to a strong guy ! How is Bagi Warrior in PvE. 1. Bagi Warrior role is keeping aggro/tank and support their team with damage share. When a teammate gets hit some of the damage is transfered to Bagi Warrior while it also increases Bagi Warrior damage, defense and all resistance depending on which damage share is used. 2. Rash menace increases bagis monster damage tolerance and forces the enemy to focus his attacks on bagi. This is especially useful against bosses. 3. 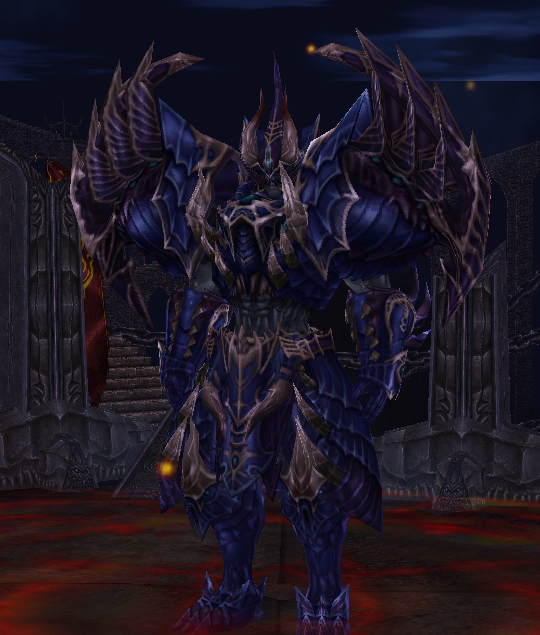 Bagi Warrior is a nice class in Dekaron Rising because his defense and his skills are helping to survive the mobs and his damage can kill the mobs fast. Bagi Warrior can use a skill that the boss will not make on him any damage for some seconds and as a result to survive when you don't have hp. Which gems do you need for your weapon. 8% gem is the max, but its too rare, you also can use 7,6,8% gems, you can use any element for your weapon because Bagi Warrior is not standing on any element he's standing on physical damage. Some of the other classes need their gem element but Bagi Warrior is not standing on any element, so you can use any element you want no matter which one is it. Important buffs/skills for Bagi Warrior. 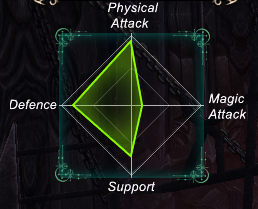 Resistence buff, when you will use this buff no one can catch you or block you for 28 seconds. Imbibe which consume 100 vitality to increase your blocking chance by 5% for 5 seconds. Also your monster damage increases by 10% ! Bull's Cry is one of the most important buffs to the bagi. Raise physical abilities to the limit increases attack speed and critical for 10 seconds. Also this skill have knock back while casting. Vital drain is one of the best bagi buffs which exhaust the left fighting spirit and resist every damage damage 50% for 7 seconds. But you should not use it indiscriminately as the max shield decreases 70%. Also Use Dead Spark first and Bull's Cry before you attack your enemy. My personal skill bar set up. Great guide. I really like the formatting, combos, buff descriptions, and skill icons. I think you can improve it by adding Bagi specific item information, such as which gems to use and what options to strive for. You can also add what combos are good to use against what classes, what skills are better for PvP or for PvE, and what item-buffs to use! Please post your character name so we can send you $25 in coins for free :). We may send more as the guide is updated and improved. Thank you for your contribution to our server. I will be adding this to the official guides list, congratulations on that achievement. This combo will give u stun lock. That the enemy cant even move or skill for 3-4 sec. This combo so OP but pray that gidion will work. Its much longer stun lock than the 4th combo. I prefer dont heal build bagi. Bagi dont have dmg to outheal his opponent. 50:50 Stat is good but i prefer 1:4. More STR=High DMG. I just gave some opinions for combos (: and I think full str will not be good for bagi. Also if he will add heal its will make him better in pvps (: thanks for your comment ! As you can see in the photo bagi is standing on Physical damage and a lot Defence, and suuport ! but for me as i discovered for bagi make your health +2 and Strength -2. Example If the Health is 420 make Strength 418 for it will transform Bagi to tank and Damage giver class. As i built the stats of my bagi.